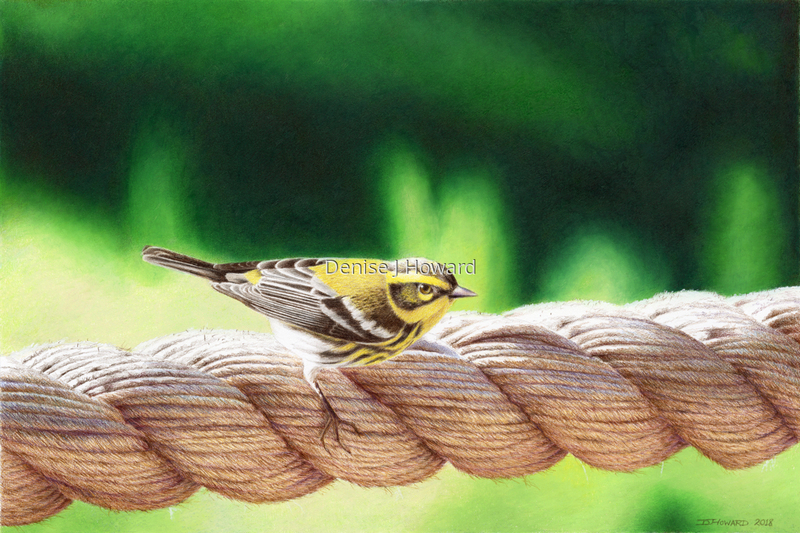 I encountered this Townsend's Warbler in a park and was struck by how fearless and direct he was. Although tiny, he owned the mighty rope. Colored pencil and wax pastel on Stonehenge paper.